​Hanoi (VNS/VNA) - Shares declined more steeply on August 29 afternoon trading after many heavyweight shares were sold, potentially driven by the withdrawal of an exchange-traded fund (ETF). The benchmark VN Index on the HCM Stock Exchange edged down 0.42 percent to close at 774.03 points. The southern market index picked up 0.73 percent on August 28. On the Hanoi Stock Exchange, the HNX-Index decreased 0.37 percent to end the session at 103.52 points. The northern market index rallied 1.23 percent in the previous session. Large-cap stocks led the market downturn with 23 stocks in the VN30 basket (the 30 largest shares by market value and liquidity on the HCM Stock Exchange) lost value while only six gained. Many stocks tumbled in the At the Close Order (ATC) under heavy selling pressure which harmed the market. Big losers included dairy giant Vinamilk, insurer Bao Viet Holdings, confectionery Kido Group, Sacombank, Vietcombank, Vietinbank, PV Gas, brewery Sabeco, Masan Group and Novaland Investment Group. 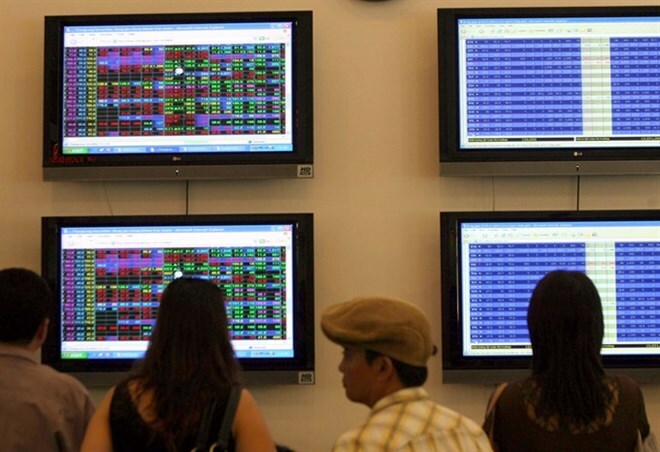 According to Nguyen The Minh, head of the capital market analysis at Saigon Securities Inc, the market slump on August 29 was likely caused by the withdrawal of VanEck Vectors Vietnam ETF (VNM ETF) while he indicated that most of the big stocks being sold heavily in the ATC were in this ETF’s portfolio. Minh said VNM ETF’s fund certificates had been trading at a discount to net asset value since the beginning of August and this might have prompted the fund to withdraw. In addition, macroeconomic factors and political tension in some countries might have fueled the withdrawal. However, Minh reckoned the net selling would only happen in one or two sessions and not persist in the next sessions as the fund’s discount situation had declined considerably. VNM ETF was traded at a 0.98 percent discount on August 28 on the New York Stock Exchange at 14.49 USD per fund certificate, higher than 14.07 USD on August 22. Its net asset value reached 293.4 million USD on August 28. Investors withdrew 2.87 million USD from VNM ETF last week, marking two consecutive weeks of net selling. The fund is expected to announce its portfolio restructuring in the third quarter on September 8. Cash continued to flow into speculative stocks in the real estate sector. Six of the 10 most active stocks on the southern bourse were of property firms, with FLC Group and Hoang Quan Consulting-Trading-Service Real Estate JSC leading with over 60 million shares and 30.9 million shares being traded, respectively. Others saw trading of 4.5 million to six million shares.